Bodegas Sonsierra is a cooperative with 240 growers around the La Rioja village of San Vicente de la Sonsierra. 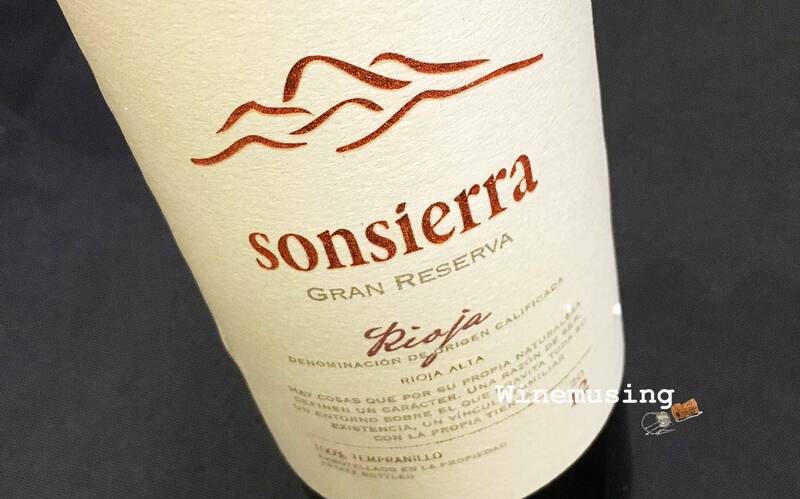 While they make a range of wines, including the Perfume de Sonsierra, the Gran Reserva is made from Tempranillo vines that are at least 40 years old, up to 80 years old giving the wine a deeply coloured hue and a suppleness. The intense blackcurrant aroma takes on a smokiness that provides an earthy foil to the chocolate, liquorice and savoury sage. After the prerequisite 24 months in oak, followed by another 36 months in bottle, a regime that sometimes leaves this category of Rioja dried out, this Gran Reserva has a creamy smoothness that still leaves the fruit centre stage. It is a companiable wine that does not require food, but if you are looking for something a little more special when friends come for dinner, this wine will not let you down.